Shirts With Random Triangles: Covering Dixie: Josh-Harvey Clemons suspension fallout, Bret Bielema states the obvious, Nick Saban, and more. Covering Dixie: Josh-Harvey Clemons suspension fallout, Bret Bielema states the obvious, Nick Saban, and more. The above picture is the famous double-barreled cannon in Athens, Ga. 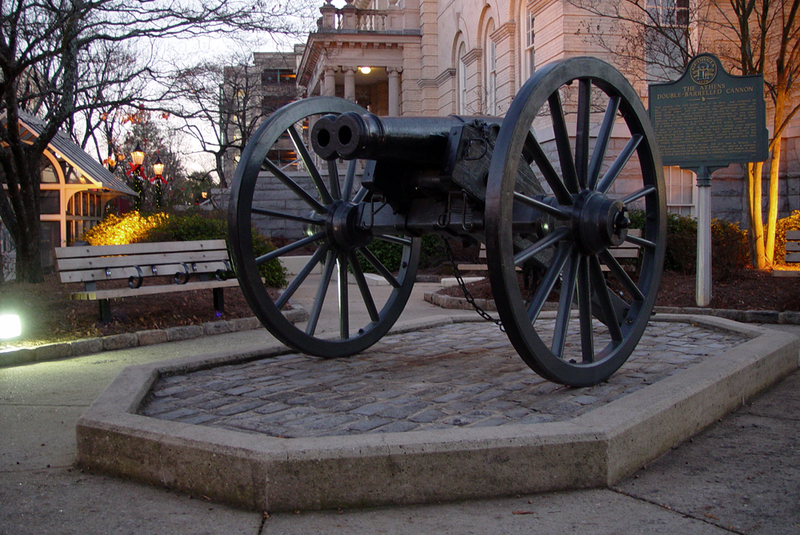 The perfect metaphor for Georgia, which like the cannon usually looks better on paper. Team Speed Kills tries to put an end to claims the SEC's non-conference schedule is too weak. Track 'Em Tigers looks at attempts to improve the tailgating experience at Auburn. *Apoligies to the U.S. Army.